For my final post for Pollinator Awareness Week I’ve chosen another bumblebee, one with a fascinating history and ecology. The Tree bumblebee (Bombus hypnorum) is a relatively new arrival on our shores. It was first discovered near Southampton by Dave Goulson in 2001; since then has spread out through the country, as far north (currently) as central Scotland, and has recently been recorded from Ireland. It arrived in Northamptonshire in 2006. The Bees, Wasps and Ants Recording Society (BWARS) has been tracking its spread through a recording scheme: it’s very distinctive being the only one of our 25 bumblebees to have a ginger thorax, black abdomen and white tail. All the evidence suggests that this was a natural range expansion for the species rather than a deliberate or accidental introduction by people. It’s what species do, they move around and change their distribution over timescales of decades to hundreds of years (there are lots of bird examples of this, including the Collared dove in the UK). There’s no suggestion that this was due to climate change, however: Bombus hypnorum has long been present in colder parts of Europe and Scandinavia. That said, there is probably a human influence to its spread as the species is closely associated with houses and gardens, often nesting in bird boxes or roof spaces (we had one in our roof for three years running). The natural nesting habit for this bee is tree holes (hence the common name) which is why they are usually found in cavities above the ground. However, like the Buff-tailed bumblebee, they can also be found in compost heaps, as a recent posting on the Bees Knees Facebook group showed (if you’re not a member of that group I can recommend it as it’s full of friendly, practical gardening advice for those interested in how their garden can be beautiful, productive and wildlife-friendly). 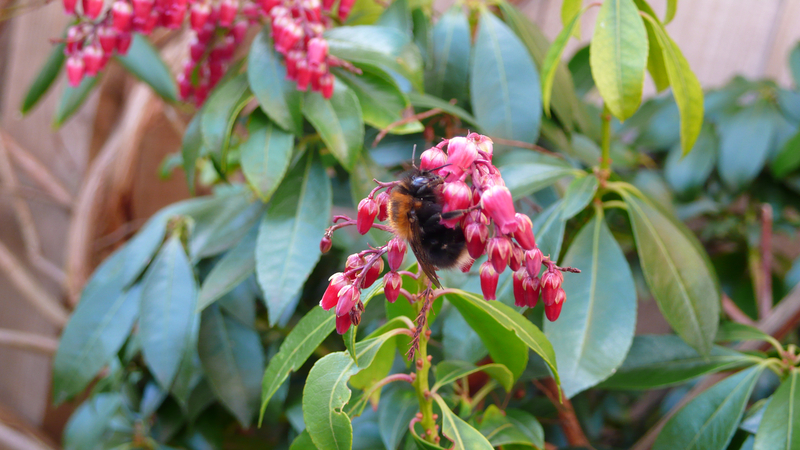 Although the Tree bumblebee will take nectar and pollen from an assortment of garden plants it seems to be particularly associated with members of the rose family (Rosaceae) and is a frequent pollinator of rosaceous soft fruit such as raspberries and blackberries. 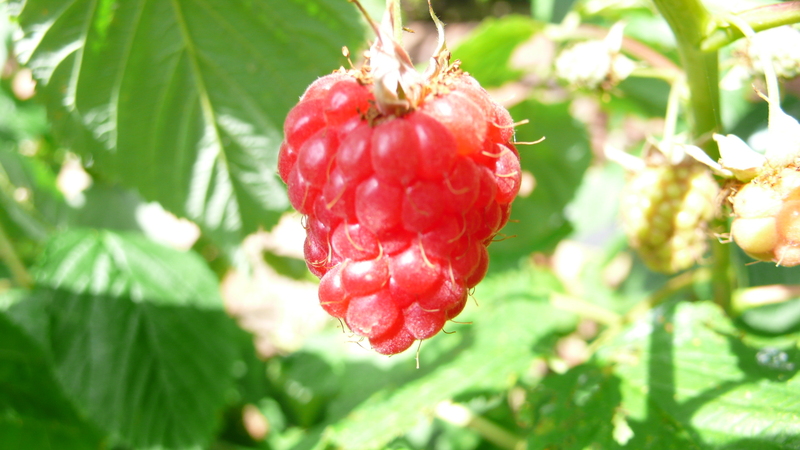 I tried and failed yesterday to photograph the bee on our raspberries, so here’s a photograph of the outcome of that pollination. 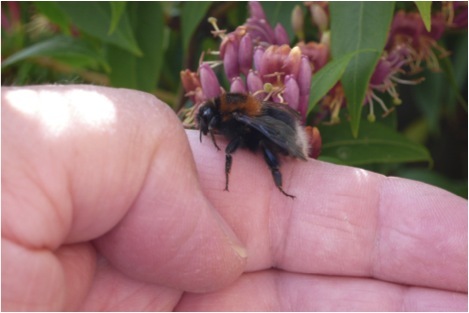 The Tree bumblebee is rapidly becoming one of the commonest garden bumblebees. Is this likely to cause problems for our other bumblebees, by out-competing them for nectar and pollen, or even nesting sites? It’s too early to tell but I’d be surprised if it does. Phew! That’s it! It’s been a bit of marathon preparing these posts on top of writing a large grant application and a thousand other jobs, but it’s been a lot of fun. Thanks to everyone who has viewed my posts For Pollinator Awareness Week and commented on them, either on the site or on Facebook. Hopefully they have raised a broader awareness of our amazing native pollinators. Well done – I have enjoyed your week of excellent posts. No Tree bumbles here in the west of Ireland yet but now that they are across the Irish sea it probably won’t be too long!